Since 1962, the Conservative Party has been the voice of the conservative movement in New York State. Votes cast on the Conservative Party line have provided the margin of victory for New York candidates at every level of government. The Livingston County Conservative Party (LCCP) is committed to continuing that tradition in this county. The LCCP may be the youngest political party in the county, but it is proving to be a capable backer of the candidates it supports. In county, state and federal races the Conservative Party is effectively educating and turning out conservative-minded voters. The party’s work doesn’t end on Election Day, though. The LCCP is committed to holding elected officials accountable during their time in office. 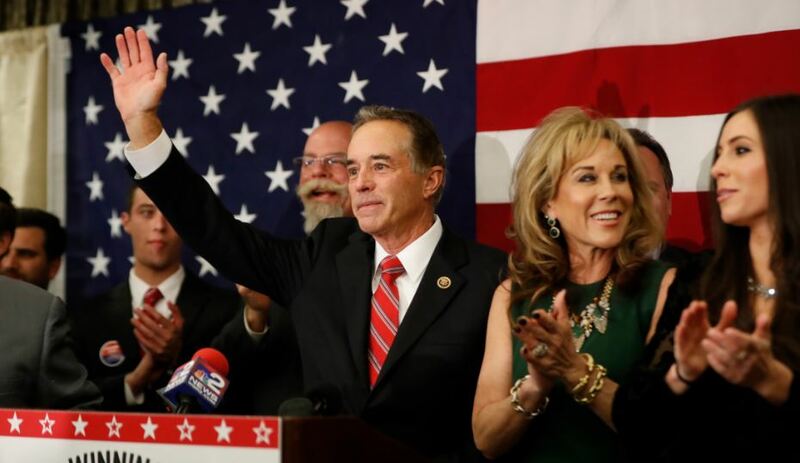 Livingston County's Conservative-endorsed candidates include: Congressman Chris Collins (pictured), State Senators Pat Gallivan and Cathy Young, Assemblyman Joe Errigo, District Attorney Greg McCaffrey, Sheriff Tom Dougherty, Lima Town Supervisor Mike Falk and several sitting judges. If you would be interested in helping build the Livingston County Conservative Party and advancing Conservative principles, please reach out to Chairman Jason J. McGuire and our county committee through our contact page. Together we'll make a difference for conservative values in Livingston County. Who Is The Conservative Party?